We cannot go out in the street and start bombing, shooting and killing,” the rapper said during the town hall. “I encourage none of us to engage in acts of violence that will cause more peril to our community and others that look like us. I encourage us to take our warfare to financial institutions. Yara Shahidi plays Zoey on ABC’s Black-ish. She’s only 16 years old and already brands herself as a budding humanitarian and activist (her words). I recently ran across Yara’s work on Tracee Ellis Ross’s Instagram page. Tracee wrote, “🙌🏾🙌🏾🙌🏾I don’t remember being this ‘woke’ or this clear when I was her age, but intelligent, conscious young women like my TV daughter @YaraShahidi give me so much hope for the future!“ After reading Tracee’s statement, I was intrigued so I watched the short video of Yara on Tracee’s Instagram page before finding and listening to her full speech on YouTube. Children are the anomaly if they succeed, the expectation if they fail. Click the image below for more pics of Yara at the BET Awards. I’m a huge Shonda Rhimes fan. Shonda Rhimes is the new Oprah. She’s a great writer, inspirational speaker and her story is one that will leave you in awe. Yes, she’s also super successful; but, she’s also a very real and down to earth person. I feel like if know her personally – can you tell? I’ve read her book, “Year of Yes” once and I’m planning to read it again, very soon! I follow her on Twitter, Instagram and Facebook. I try to read everything she writes. I ♥ Shonda. Shonda recently released a Ted talk that I highly suggest you listen to – on your commute to work, while you brush your teeth, wash dishes or whatever mundane task you have next on your schedule. Listen and enjoy. Work doesn’t work without play. I said yes to less work and more play and somehow I still run my world. My brain is still global, my campfire still burns. This is not some game or new trendy thing to do. 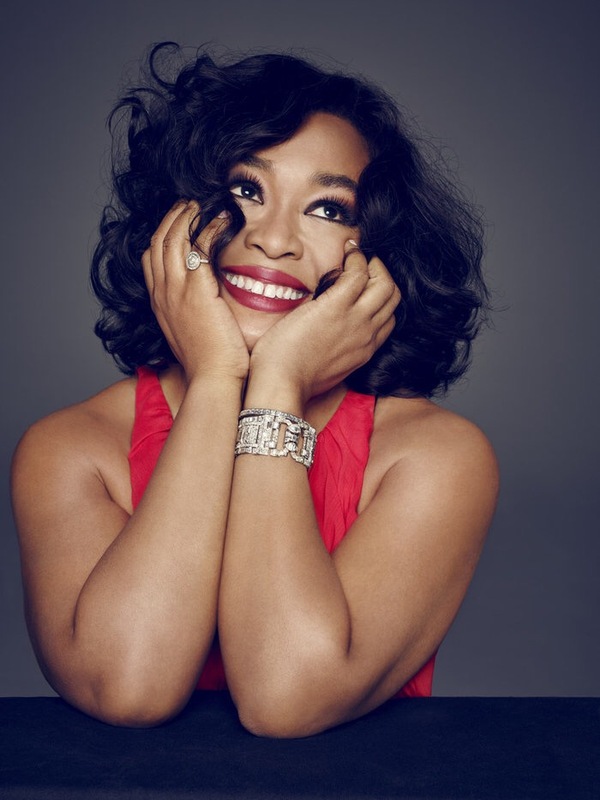 “Year of Yes” is a memoir by Shonda Rhimes (yes, that Shonda Rhimes). In Year of Yes, Shonda shares tips from her own enlightenment and how she changed her whole life. I don’t read many memoirs but I plan to read this one, every single page! NPR did a feature in which Shonda explains how she “Said ‘yes’ to her children”. What will you say yes to? No need to wait until the New Year to make a resolution you probably won’t keep… Start today. First and foremost Start by saying Yes to Yourself! If you missed Shonda on Ellen today, you can catch her with Oprah this Sunday. I will certainly be watching. I’ve already preordered my copy. Put this book on your Christmas list this year – for yourself or for a friend.